More than two dozen award-winning wineries in the Sierra foothills just one hour from Sacramento or South Lake Tahoe. Welcoming tasting rooms open daily. Special events year-round. 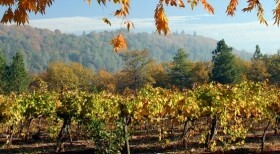 Check out calendar of events at www.ElDoradoWines.org.